The Islands of Koh Similan is the largest in the Similans archipelago and measures around 5 square kilometers. It is sometimes referred to as Island No. 9 and is highly distinguishable because of the strange Donald Duck look-a-like rock that is overlooking the famous Donald Duck bay. Koh Similan is the main island of the Similan Islands and attracts the most tourists because of its diving spots and fantastic nature trail up the highest mountain of the Mo Ku National Park. Additionally, it is one of the most popular snorkeling and diving places in the area because the average water dept around the island is only 25 meters. This offers perfect diving conditions for experienced and beginning divers. What do you want to know about Koh Similan? 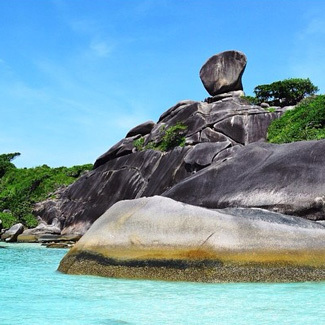 The most recognizable feature of Koh Similan, at first sight, are the huge boulders that scatter the western and southern shores of the island. Especially the major rock sticking out on top of the viewpoint not far from the entrance to the park makes a spectacular appearance. Another feature of Koh Similan are the white coral-sand beaches that are amazingly picturesque and often deserted waiting to be explored. 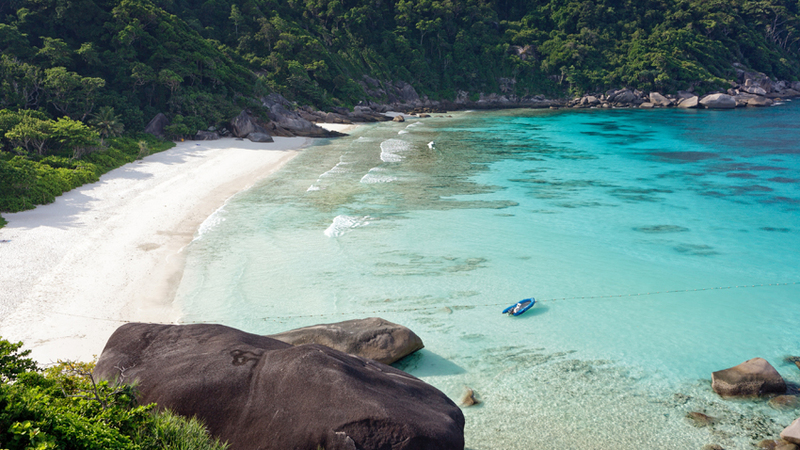 Koh Similan is cover with jungle and huge boulders that give it an ancient look and feel when you wander around it. The dense jungle is packed with large ironwood and gum trees, while jackfruit, rattan and bamboo form parts of the denser undergrowth. Navigating through the islands can be tricky if you leave the hiking trails because of dense bushes. Koh Similan is home to small monkeys, dusky (gray) langurs, squirrels, bats, lizards and a large variety of birds. To spot a crap-eating monkey you will have to be patient as they are shy and rarely seen by the amateur observer. But wait there is much more to explore on Koh Similan! Koh Similan is the largest island and measures up to 5 square kilometers. You can hike through the jungle and explore various viewpoints on the island. The main activity on Koh Similan is diving and snorkeling in the crystal clear azure blue waters of the Andaman Sea around it. The gentle sea current and average water dept of around 25 meters make it the perfect place to practice your diving skills and explore an unknown water world. You’re able to spot various ocean dwellers such as Spiny lobsters, small sharks, sea turtles and schools of finding Nemo’s. The bottom is littered with huge boulders and sea fans, plume worms and other soft corals that dance in the swaying sea. The Andaman Sea is warm, clear and full of marine life! The best place to start your underwater adventure is probably the popular Donald Duck Bay. This place is just as picturesque above as underwater and is the perfect spot to practice your underwater capabilities in diving and snorkeling. The depth of the water slowly rises what makes it perfect fish nursery. There are also a couple coral reefs of various sizes, which can be explored. For more information about diving on Koh Similan you visit our diving page. 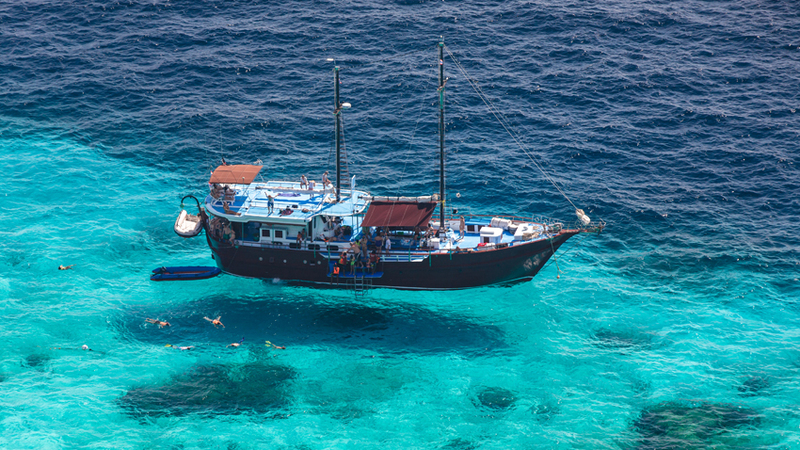 Another fantastic diving spot in the Similan Islands is the Island of Koh Tachai. While diving or snorkeling is the absolute highlight of Ko Similan there are more things to do. You can hike various nature trails along the island of which the one on West Side is probably the most fun. This trail leads to strange boulder (that looks like Donald Duck) on top of a small mountain that gives you a stunning view over the island, bay and sea. Another trekking route in Ko Similan (Similan Island) heads from Nguang Chang Bay to Horseshoe Bay (2.5 kilometres). With the permission and guidance of a park ranger you can also climb the abandoned lighthouse of the Thai Navy. This gives you a superb view over the Similan Islands and its colorful waters surrounding them. Amazing and perfect for taking pictures! 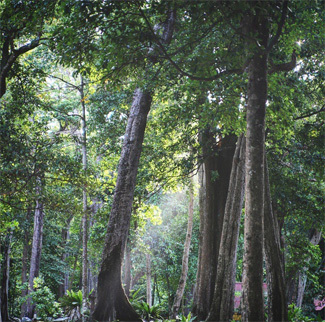 For more information about nature trails you can consult a Mu Ko Similan park ranger. Have you ever wondered how a night on a remote and deserted island would be? Well you can find it out on Koh Similan. 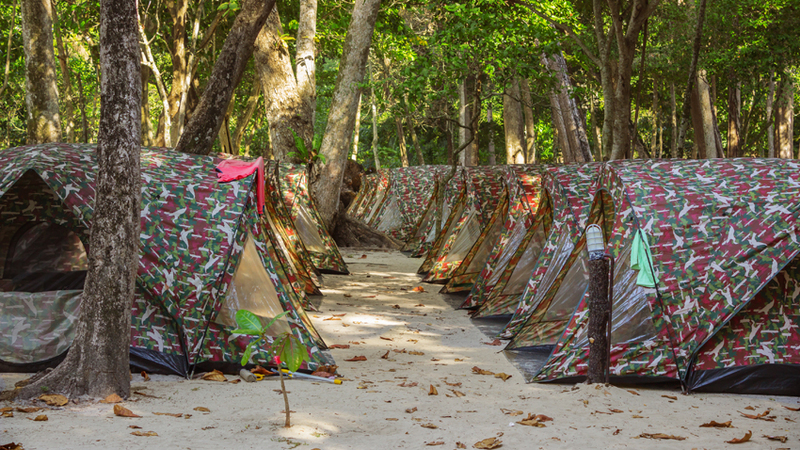 The island offers an outdoor campsite with multiple tents for rent. Additionally you can enjoy the restaurant for food services and get more information about the Mu Ko Similan National Park at the tourist center. Koh Similan has one of the best facilities of the Similan Islands, another great option is Koh Miang that offers bungalows with AC. Make reservations with the National Park as early of 60 days in advanced else the chances are real that you miss out on the accommodation in Koh Similan. 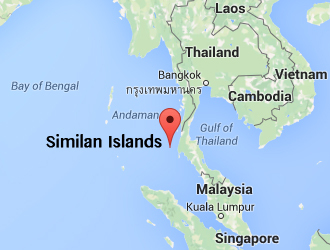 The island of Ko Similan is only reachable via boat. You can reach it via sail charter or speedboat. Both options depart from various places on the mainland of Thailand or the Island of Phuket. The most accessible ports are Tap Lamu near Khao Lak or Ronong. You can find more information on how to get to Koh Similian here.